2. 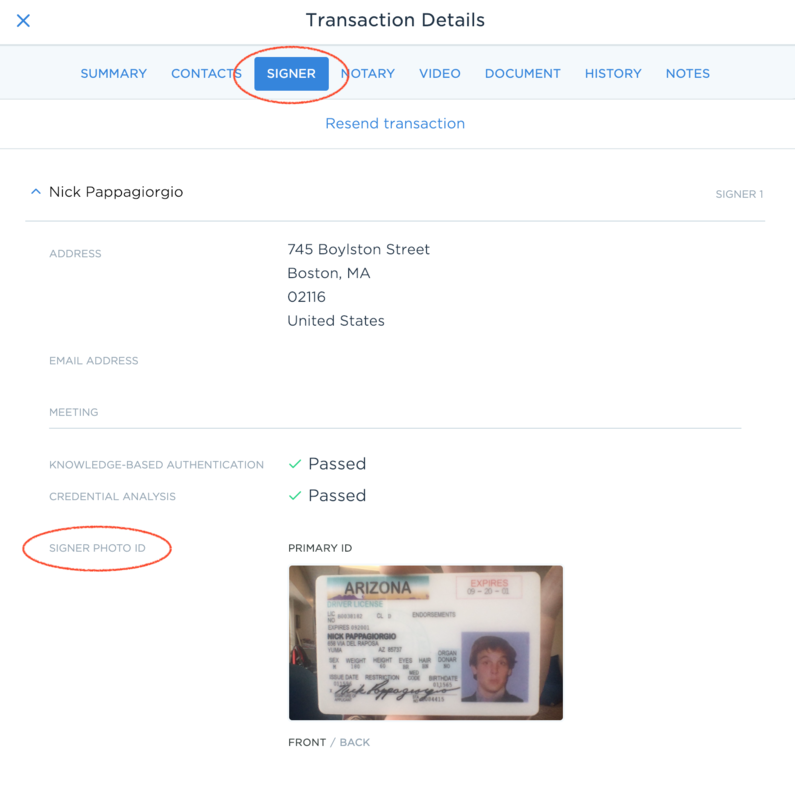 A new page named "Transaction Details" will appear. Select on the "signer" tab. You will be able to view both the front and back of the signer's ID. *Note that you can download the image to your computer by right clicking on the ID and selecting "save as".